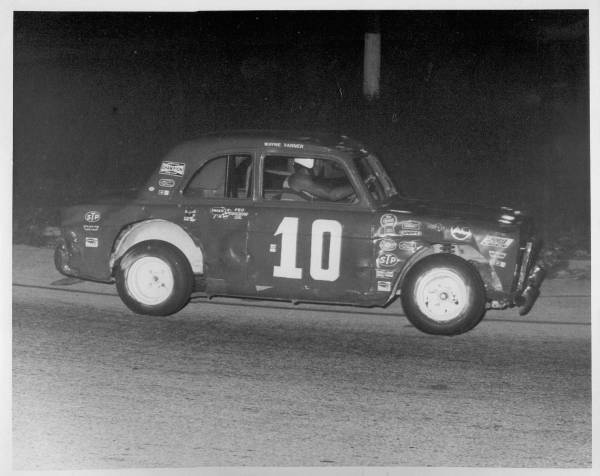 19 year old Wayne Varner cranks up his racing career in a car given to him by Miles Cole. 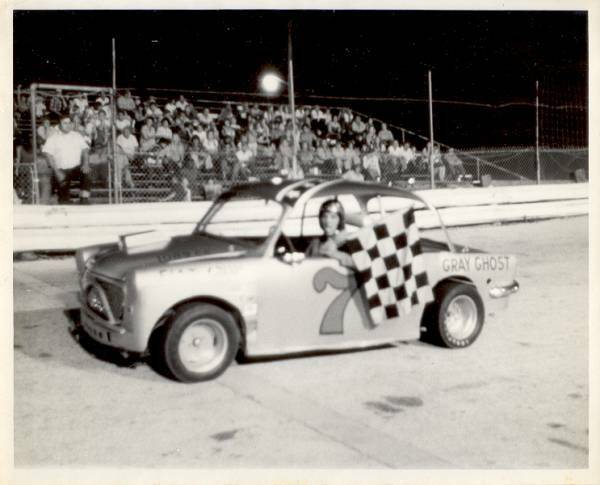 When Wayne decided to give it a try, he had been around racing with his brother Jim, and two cousins Joe Varner and Raleigh Beatty. 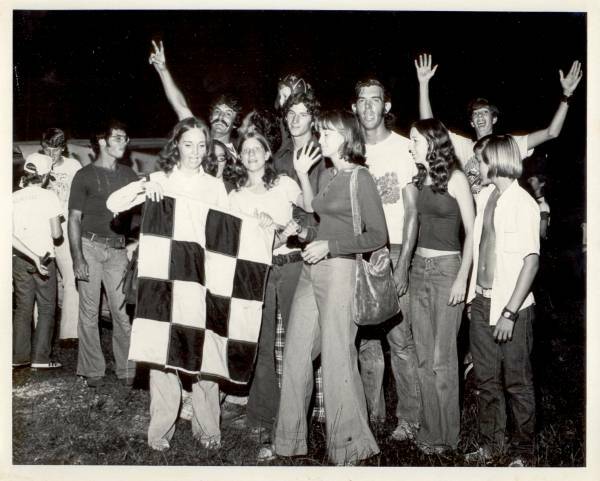 Who didn't have a night like this when they were starting out? 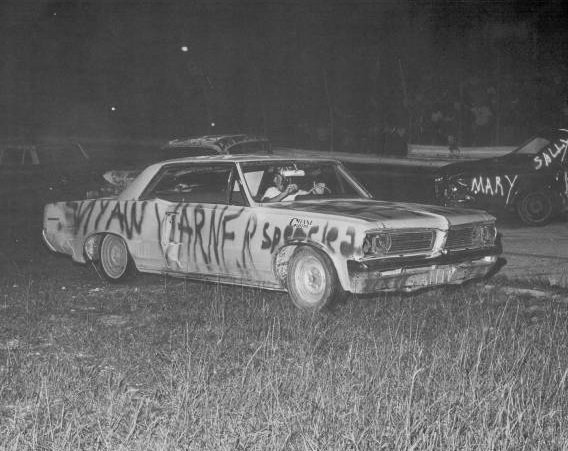 Here is Ted Merritt knocking some of the new off Wayne's car. 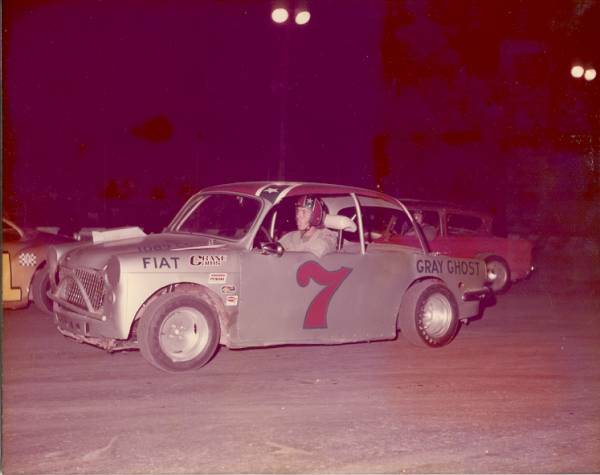 One of my all time favorite cars: the "Gray Ghost" Fiat was a fixture every Saturday night in 1972 and 1973. These were competitive years. 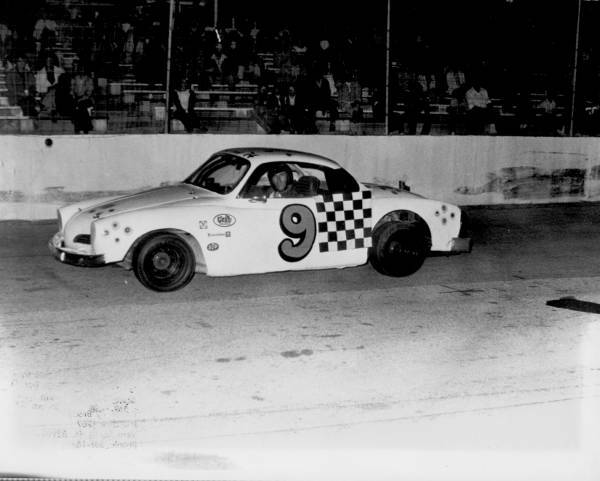 Every Saturday night, Wayne was knocking heads with the likes of Raleigh Beatty, Bob Forman, George Sweeting, Rob Bean, Miles Cole, and many others. 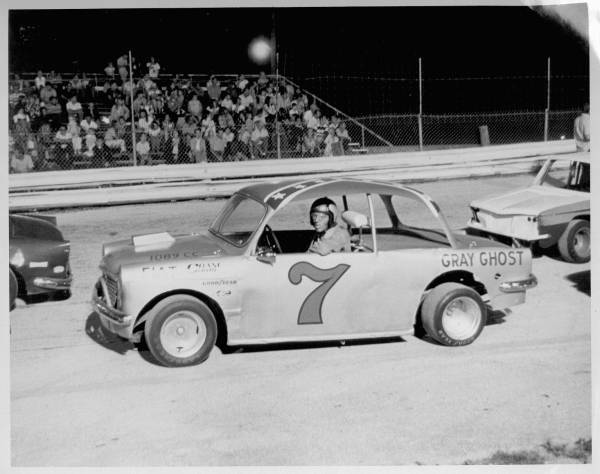 On one especially memorable night, Wayne won the heat and feature in the Gray Ghost. And he had to beat George Sweeting to do it! Demo time! Wayne pulls the trigger on this ornery Pontiac. After winning the Demo, the party is on! 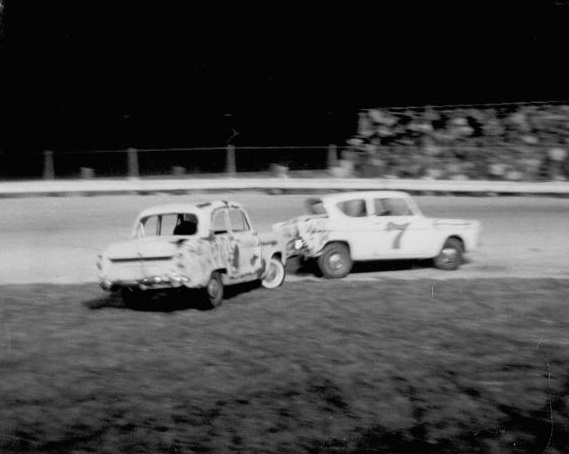 It was 4 Cylinder Demo night and Wayne gave chase in another # 7. 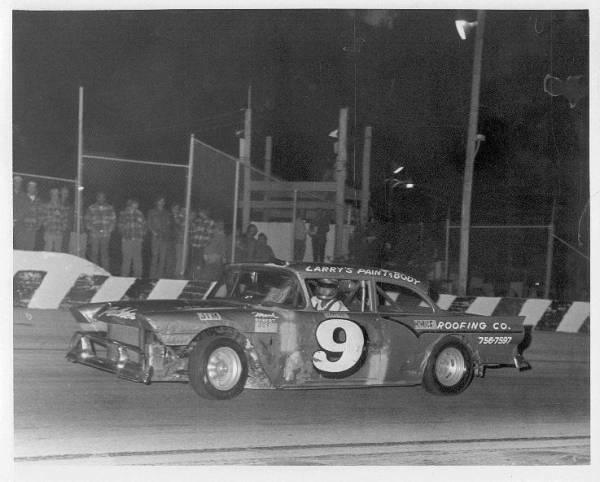 Meet the winner of the "East Coast Championship" at Vero Beach Speedway, 1974. 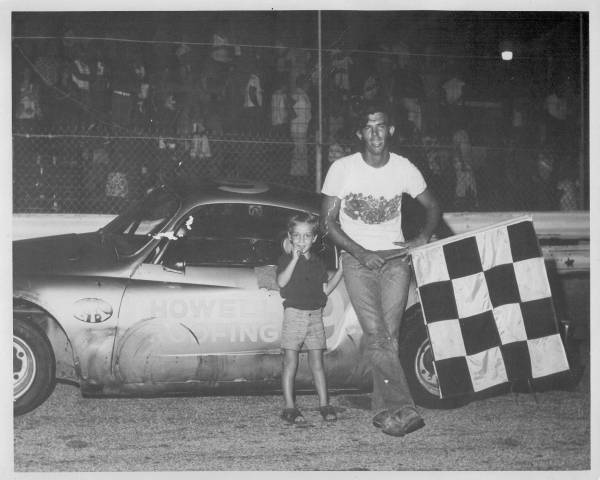 This was the biggest win in Wayne's stock car career, and it came against the best cars in the state that gathered for this extra distance event. 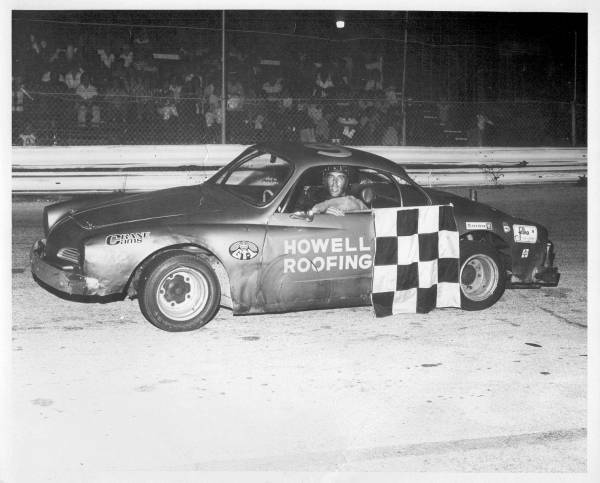 This VW was owned by Red Howell and driven by Wayne. 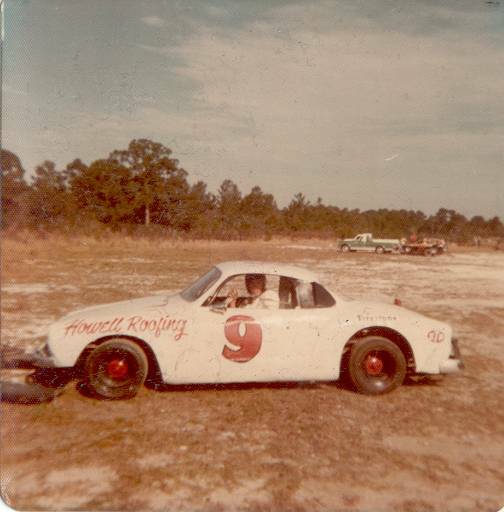 It was a team car to Raleigh Beatty, and Wayne drove it to many wins. Here is a guy knows how to celebrate victories! 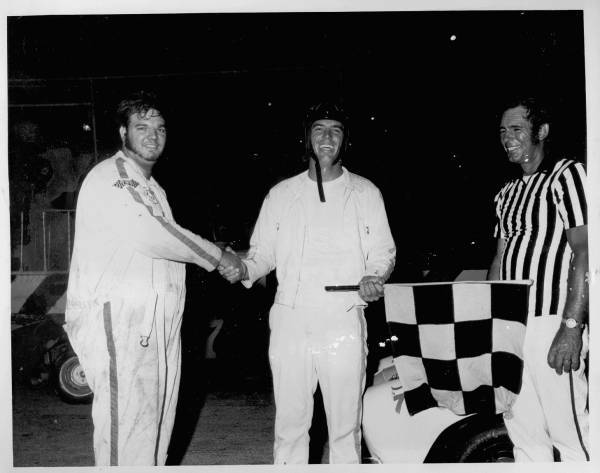 A classic shot of Wayne and Ed Esser congratulating each other after an especially spirited battle for the win at Hollywood. Wayne is a devoted family man who has spent many years in activities with his kids. His racing ambitions have been put aside to concentrate on being a great dad and husband. Not many drivers can kick the racing habit to focus on the more important things in life. 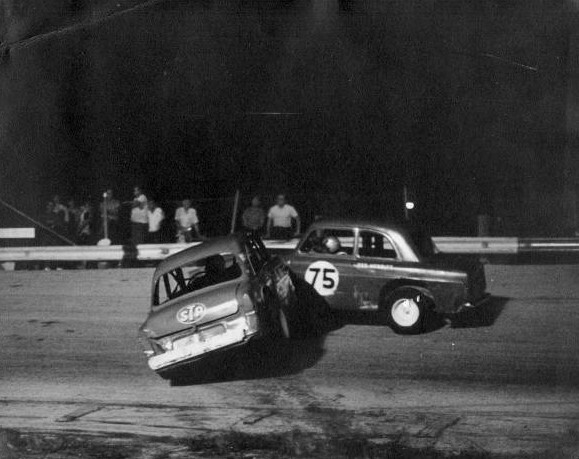 After winning the East Coast Championship, Red sold the car to Wayne who continued racing it on his own. Another feature win at Hialeah! And a win at Hollywood too. 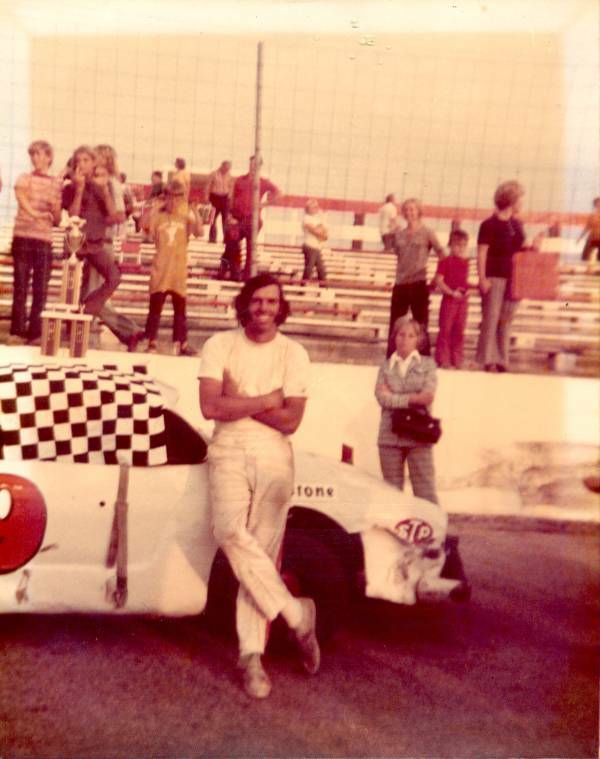 Win or lose, few people had more fun at the track than Wayne. 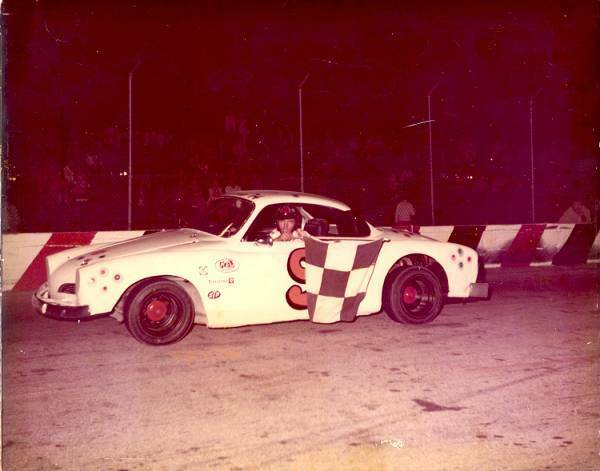 After mini-stock racing in the area faded, Wayne ran this Hobby class Ford at Hialeah. 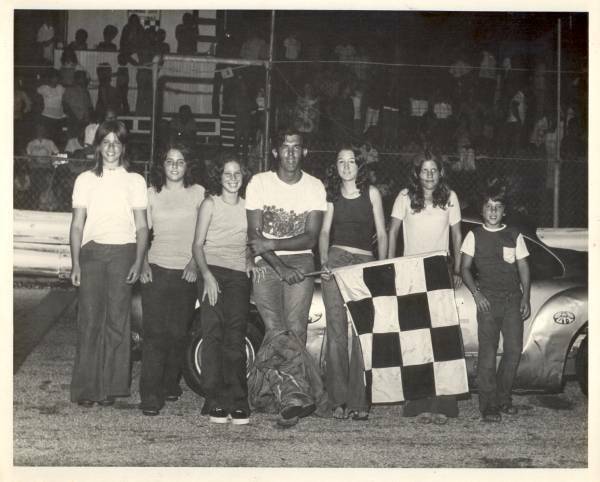 After his stock car days, Wayne stayed busy with boats, dune buggies, quads and several years of competitive moto-cross. He and cousin Joe criss-crossed the state looking for good moto-cross races.